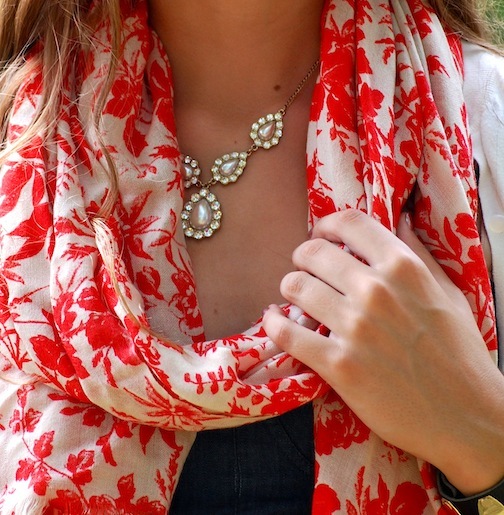 Since tomorrow is the first day of fall...I think it's time to be breaking out the scarves! 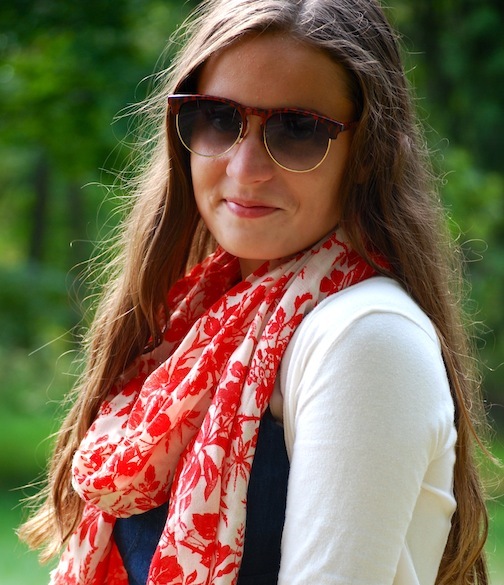 Even though this one is a summery print and fabric, I never wear scarves in the summer, so this is my fall scarf. I got it from one of my friends for my sweet sixteen last year, and I love it so much! In other news, I'm so so so busy. I have my first AP Biology test on Tuesday, my first math test on Thursday, and my first AP US Gov quiz/test thing on Friday. Not to mention soccer games. Wahh. Stressssss. I can't wait to catch up on all of your blogs, but I'm so busy that I haven't even opened my bloglovin' since summer practically!!! Hopefully I'll get caught up once my workload lessens...which won't likely be until NOVEMBER when soccer ends. I love your scarf! So pretty and really brings this outfit to life! I really like the bright color of your flats. Your outfit looks great. I don't think I'm ready for fall yet. Love the pictures, great ensemble! 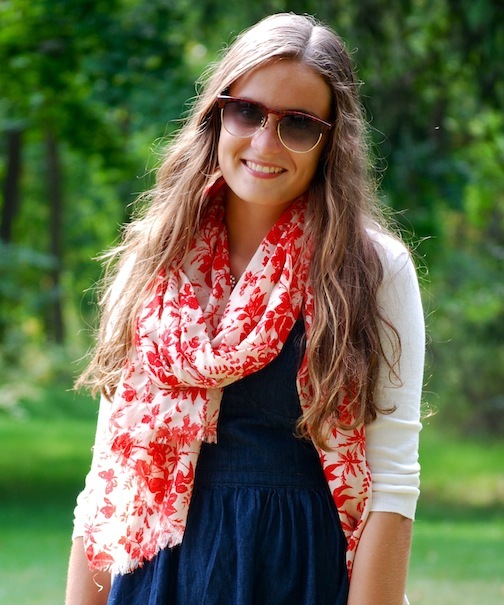 I love your outfit and how that gorgeous scarf looks with denim! 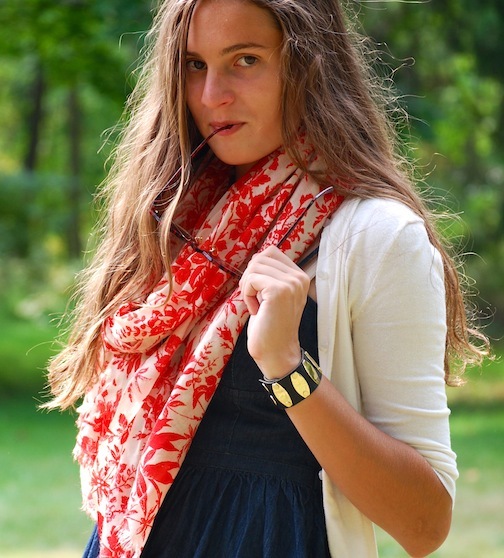 Hi there, love the vibrant print and colours of your scarf and that you've styled it with blue, its a charming combination, you look so pretty!